In recent years, Wynwood has received a lot of attention as the new creative wave that people from all over the world have come to ride. While many have referred to it as new and trendy, Wynwood has a history that dates back to 1917. As its 100th anniversary approaches, Wynwood is more vivacious than ever. Art connoisseur, foodies and aesthete amateurs alike, all have something to enjoy at this cultural hub. Start mornings off on the right note with a cup of cortadito (Cuban espresso) or a capuccino from Panther Coffee. Once lunchtime rolls around, head over to Pride and Joy to enjoy classic Southern barbecue. Confused on what to order? Locals recommend the burnt ends, mac n’ cheese or brisket sandwich. If it’s a burger kind of day, Kush where offers some of the best burgers in Miami with a satisfying pairings of burgers and beers. Try the gator bites and conch salad for a more authentic Southern meal. Weekend mimosas are not rare in this part of town. R House or Morgan’s are the perfect spots for Sunday brunch day. But most importantly, those who are a bit indecisive can rest easy. All of these locations are within walking distance to one another. Keep in mind that Wynwood is not very large, so a nice stroll and breath of fresh air will is always an option. Newly-installed, rentable bikes are also an option and can be found on a few different streets. As the sun sets, dinner opportunities rise at Wynwood. A little north of the heart of Wynwood is Gigi’s – a hot spot for dates, dinner with friends, or family time. Gigi’s is versatile. The menu provides combinations of indulgent, savory bites unlike any other. Those who are over 21 and are looking for a place with a great bartender, can quench their thirst at Wood Tavern. This is a cool and calm environment with an outdoor area featuring DJs that play old school music. Another notable option is Electric Pickle – the number one spot for underground music lovers. It’s a small, dark room with European beats. Located next to Gigi’s is Bardot, which mixes the laid-back ambience of a lounge with the deep house beats of a club. Another cool spot on the map is The Social Lubricant a.k.a. TSL, which has an outdoor area and trendy beats that will make anyone want to move their feet. 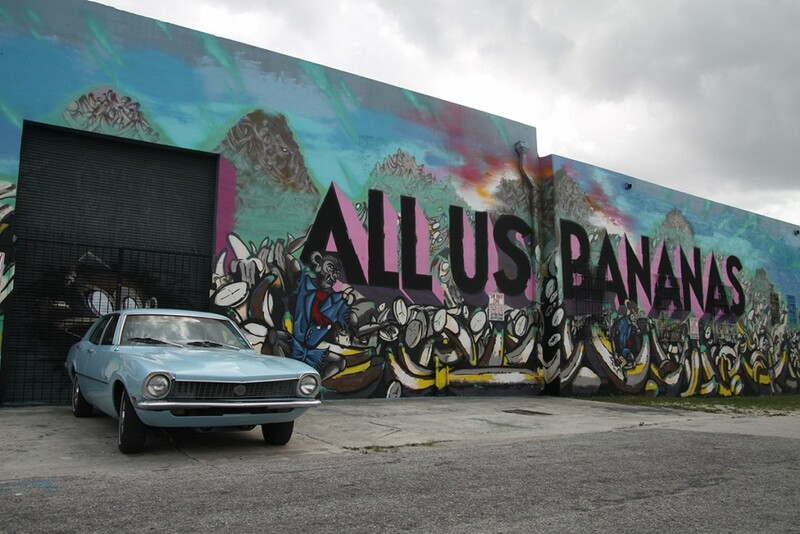 Wynwood is covered with murals painted by recognized graffiti or street artists from around the world. This was the initial movement that raised international attention towards Wynwood. Wynwood is slowly but surely becoming one of the most popular spots in all of Miami. So go ahead and surf that wave now to get a taste of Wynwood.